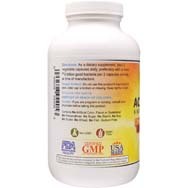 Problems recently associated with low "Good Bacteria" is improper digestion, candida overgrowth, fatigue, immune disorders, to name just a few. 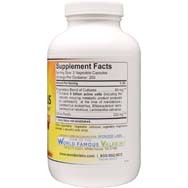 Probiotics refers to the friendly bacteria that inhabit the human gastrointestinal tract. The most important of these bacteria is Lactobacillus Acidophilus. 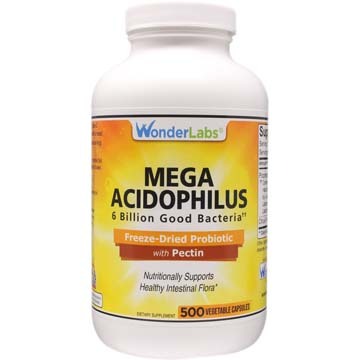 This bacteria is more commonly known as acidophilus and is prominent in the small intestines. †6 billion active cultures per serving guaranteed at time of manufacture. No Artificial Color, Flavor or Sweetener, No Preservatives, No Sugar, No Starch,, No Soy, No Wheat, No Fish and is Sodium Free. DIRECTIONS: As a dietary supplement, take 2 capsules daily, preferably with a meal. What's It Like Having 30 Billion Good Bacteria?